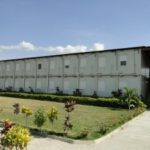 Shipping containers are ideal when it comes natural disasters like Tornadoes, Hurricanes, Tsunami, Earthquakes, Snowstorms, Floods, Famines or even Epidemics. Creating a solid shelter for people in need where things like rescue materials or shelter equipment aren’t available can be easily done by bringing in shipping containers to create temporary shelters, hospitals, ablution blocks and any other facilities required. Because they’re durable and they can withstand crushing pressure – even when cargo ships sink, shipping containers can remain undamaged under the harshest oceans for many years. This makes them perfect candidates for disaster-hit locations. 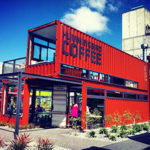 As shipping containers are designed to bear lots of weight, they can easily withstand the highest winds. Above all, using containers in disaster situations is environment friendly. Instead of turning into rust in some dump yard, if they are used during disaster management they can save serious costs in building materials. Many government agencies and rescue & relief organisations have realised the use shipping containers during disasters. 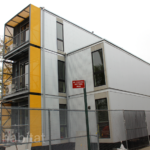 You could use both standard and modified shipping containers in the time of disaster. It depends on the availability, and the usage requirements. 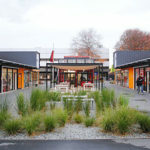 Shipping containers be used to reduce costs, as well as to hasten the transport of goods and temporary shelter to the affected areas – because shipping containers are everywhere. 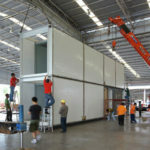 The Advantages are in their size and sturdiness – but the greatest advantage of using shipping containers during man-made as well as natural disasters is that they can be easily transported to the affected areas. 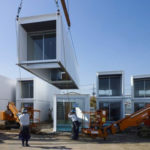 Not only do they come in different sizes and shapes, they can be loaded and unloaded with maximum speed and little inconvenience, and they can be disassembled and assembled without much difficulty. Shipping containers can be stacked on top of each other during transportation – this way you can transport multiple shipping containers in a single truck or any other vehicle being used. Not only can they be stacked during transport, but they can also be stacked when creating larger blocks of living areas for those in need of disaster relief. Standard shipping containers can be flown by a plane, sailed by a large ship, driven on trucks and sent by trains. You can also transport shipping containers using helicopters and drop them at precise locations.